A year on from the release of their widely acclaimed album A Big Bad Beautiful Noise, THE GODFATHERS have announced a fresh bunch of UK dates. The album, released in February 2017, saw the band back at the top of their game, its impact felt around the world, generating an intensive level of touring and sold out gigs across Europe. 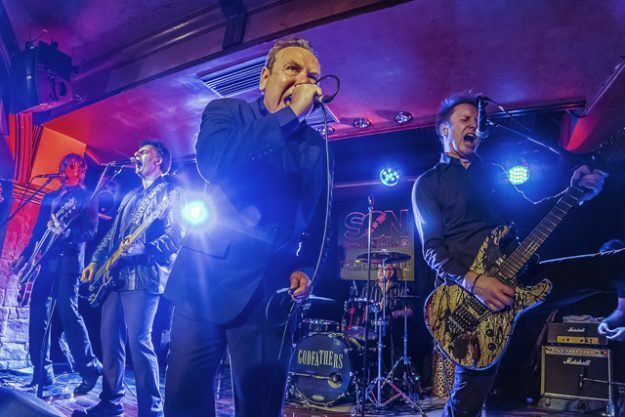 This latest run of dates takes in their annual St Valentine’s Day Massacre show at London’s legendary 100 Club, with special guests TEN BENSON, plus three shows north of the border with fast-rising Scottish punks HEAVY DRAPES. Tickets can be had via the band’s website. Check out the video for ‘A Big Bad Beautiful Noise’. ‹ DEAD BOYS ON THE HIGHWAY!